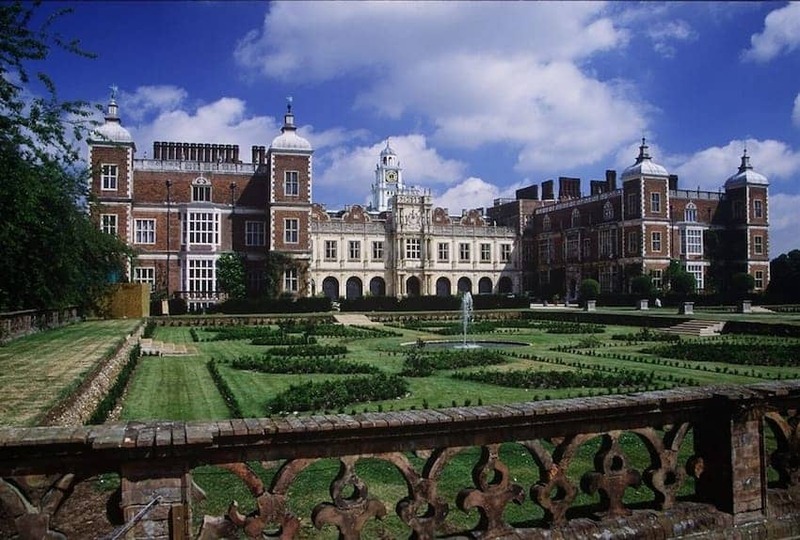 Hatfield House is a large country house near Hatfield. The present house built in 1611 is a prime example of Jacobean architecture with features including a carved wooden Grand Staircase and a rare stained glass window. There are many objects associated with Queen Elizabeth I such as the 22 feet (6.7 m) long illuminated parchment roll showing her ancestors back to Adam and Eve and the 'Rainbow Portrait' of Elizabeth. The State Rooms house many important paintings, furniture, tapestries and armour. The house and gardens have featured in numerous movies including Batman and Lara Croft.